Seventy-three years ago today, a fateful explosion altered the lives of the thousands of people living in communities around Alamogordo in a devastating and irrevocable way. White ash fell like warm snowflakes over the desert in hot July. Bewildered by this unusual scene, children played, smearing this white snow on their faces, catching ashy shavings one by one upon their tongues. Earlier that morning, a blinding light burgeoned through the desert sky, a thick plume of smoke ensued- and later, it would rain. Children were knocked from their beds, walls cracked and crumbled, and ashy debris settled over the landscape. Some say the sun rose twice that day. For the uninformed and unsuspecting families living in Carizozo, Tularosa, Socorro, and surrounding communities, this was the onset of a perpetual night. What happened on that day continues to shape the daily realities of thousands of individuals living downwind of the Trinity test site, where the world’s first nuclear bomb was detonated, and local communities were christened the world’s first nuclear victims. The U.S. government for decades would have told you otherwise. 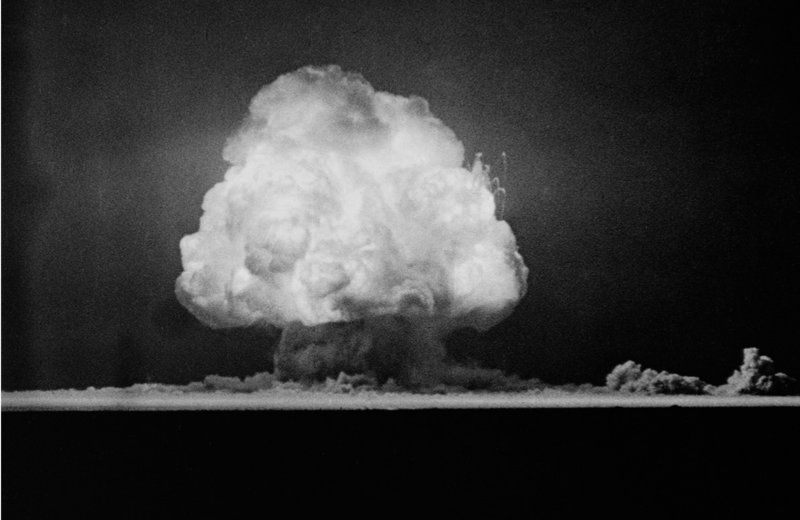 Claiming the desert surrounding Trinity site was uninhabited, the government proceeded with nuclear testing. Whereas the evacuation of local communities, which in fact did populate the area, had been considered, General Leslie Groves was far too concerned about word of the top secret Manhattan Project leaking to the public, convinced an evacuation would rouse both unwarranted attention and suspicion. Decades later we would find out that he ridiculed the notion of ‘evacuating a bunch of Indians’ and would proceed without the knowledge or consent of local populations. And so the livelihoods of thousands of New Mexicans would be dramatically altered far into the present day, and will continue to be affected long after you and I are long gone. In the communities surrounding Trinity Site, four to five generations of cancer and illness is the norm rather than the exception. It is next to impossible to find someone from these communities whose life has not been drastically impacted by cancer. 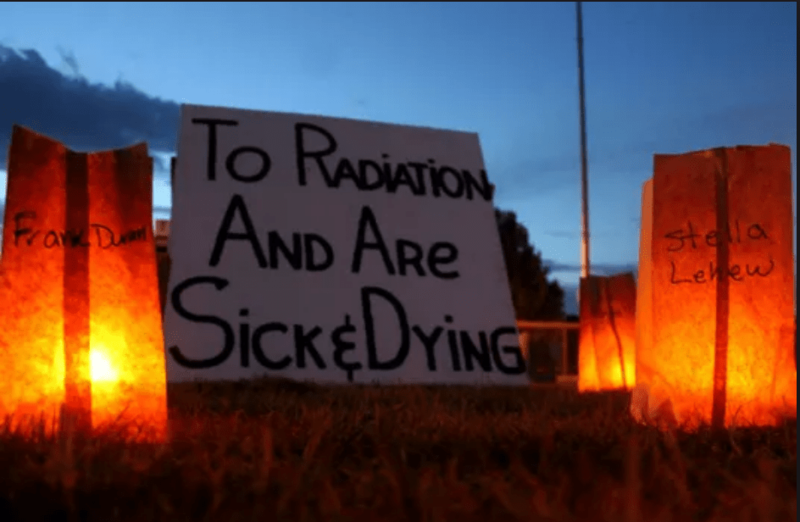 Last year during a candle-lit vigil outside of Trinity site to remember local victims of radiation, eight-hundred names were read off- from a community of only several thousand people. Cancer is everywhere. Trinity Site continues to be used for weapon testing. Explosions stir up the dust, and radioactive particles from the Manhattan Project are carried in the wind, settling anew over the landscape. Uranium has a half life of thousands of years, and depending on the isotope, billions of years. Plutonium’s half-life is also lengthy. This goes to say that this contamination will not go away any time soon. Moreover, the insidious cancers have that infected those who were alive during the Trinity detonation have forever altered genetics, transmitting susceptibility to this aggressive illness to future generations. One cannot outrun their genetics. Twelve-year-old girls are being diagnosed with rare stomach cancers, and twenty-year-olds with rare brain tumors. Today the downwinders legacy of the Manhattan Project is as real as it ever has been. And there is no escape. Many of those unfamiliar with the history of the Tularosa Downwinders ask, “why didn’t they just leave?”. Well, because nobody knew. Nobody knew what was brewing in top-secret Los Alamos, or Trinity site, aside from those involved on the project. Local communities were uninformed and unaware. Without their consent, their livelihoods were compromised. Had these communities been alerted about the planned detonation at Trinity site, many would have lacked the resources to move. New Mexico is an impoverished state, and was mores seventy years ago: economically, not much has changed. Moreoever, these communities have a culture and history deeply connected to the land. People are firmly rooted. Asking communities to up and leave, even now, is neither fair nor a realistic solution. Cancer not only eats away at the heart and soul of a person, of a family, it launches generations into a cyclical poverty and catalyzes generational trauma. A poverty that then becomes the responsibility of the state, and a sickness generated by harmful exposures related to the Manhattan Project. That both radium and plutonium could be severely damaging to the human body was known well before the explosion at Trinity Site that exposed hundreds of civilians to radiation. In the mid-1920’s, young women engaged in the painting of watches with radioactive paint, also referred to as the radium girls, began to fall ill and perish. These women spent hours a day shaping the paintbrush between their lips, painting their own teeth and sprinkling the glowing paint in their hair in their free time. 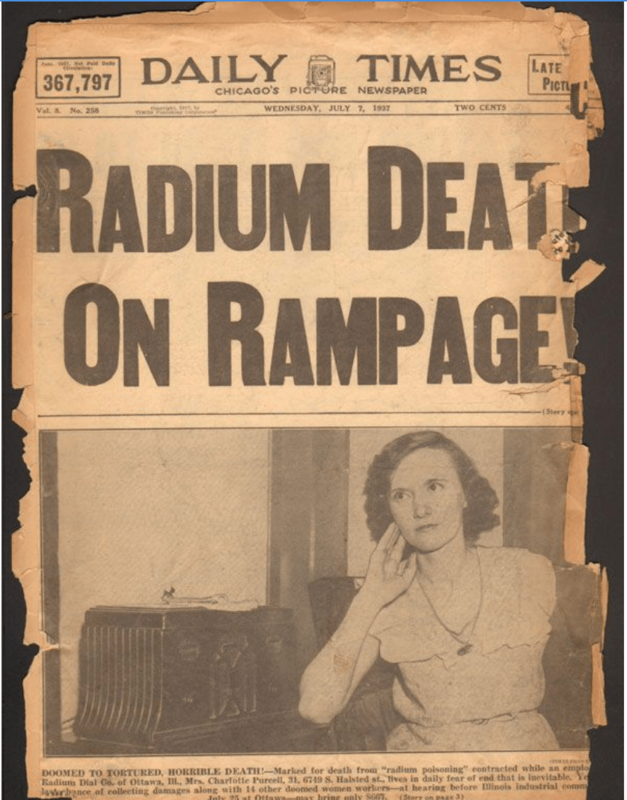 Around the same time, scientists working with radium also began to fall sick. In 1925, chief medical examiner of Essex County Harrison S. Martland published findings about radiation poisoning in the Journal of the American Medical Association, after having studied the bodies of deceased radium girls. 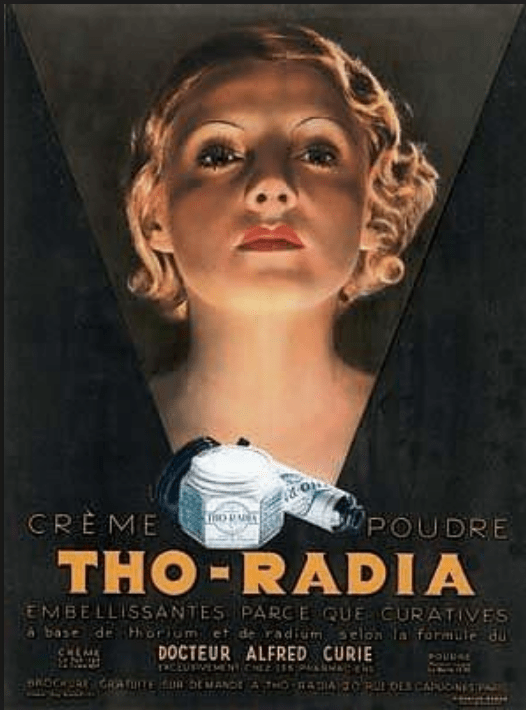 As early as 1930, the Food and Drug Administration began investigating medical and beauty products containing radium such as Radithor, a radium therapy medicine that contained elevated levels of radioactivity, which cost many citizens such as Eben Byers, their lives. By 1931, pamphlets were circulated among the American public on the dangers of Radithor and radium therapy. Even those working on the Manhattan Project, over a decade later, were not blind to the threat of radiation poisoning. In a January 5th 1944 letter to the health director of the Metallurgical Laboratory in Chicago, a Manhattan Project contractor, chemist Glenn Seaborg wrote, “It has occurred to me that the physiological hazards of working with plutonium and its compounds may be very great. Due to its alpha radiation and long life it may be that the permanent location in the body of even very small amounts, say one milligram or less, may be very harmful”. Dr. Oppenheimer himself recognized the dangers of radiation before the Trinity test and the bombings in Japan. Colonel Langdon Harrison, who was the director of the Redwing series Eniwetok hydrogen bomb tests in the Pacific, states, “long before we went through those tests, Oppenheimer had warned that ‘above all the pilots dropping the bomb must avoid at all cost reentering the cloud, as it is very radioactive and quite dangerous to the human body’. They knew that before sending us in,”. So, knowing radiation was harmful to the human body, why didn’t The Lab take more precautions? There are several reasons, including the fear of breaching their secrecy, but ultimately it boils down to this: people were expendable. The arrival of the monsoons has changed the arid and always dependable alpine desert landscape. Blue clouds hang so low they nearly graze the power lines, and swallow the mountains whole. The advantage of this rain has been a halt in the onslaught of forest fires, and many of the national forests and recreation areas finally opening to the public once more. 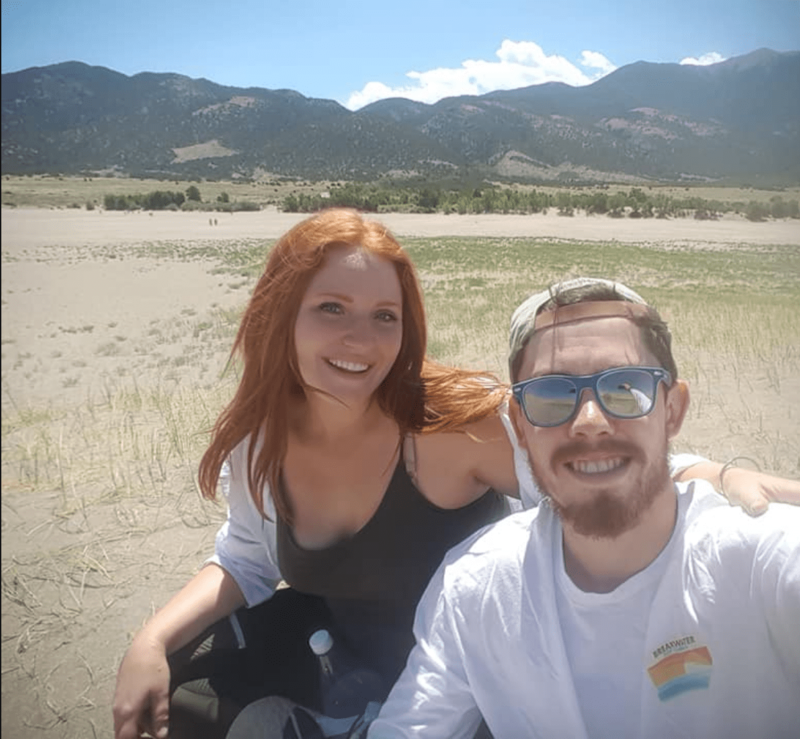 For the past few weeks I’ve been bound to Coloradan getaways, being the closest place to northern New Mexico one was able recreate due to the fire bans. 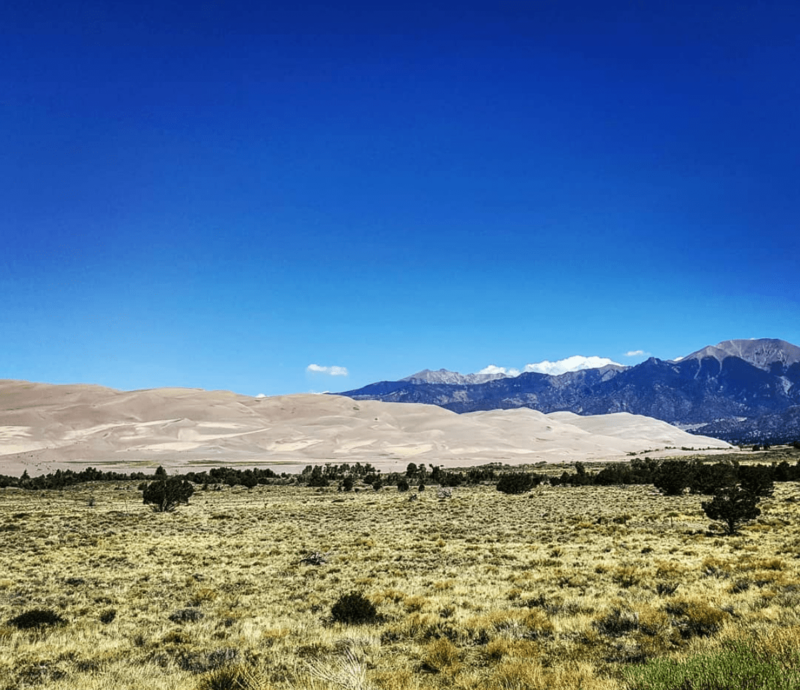 The stark sand dunes of Great Sand Dunes National Park are other worldly. 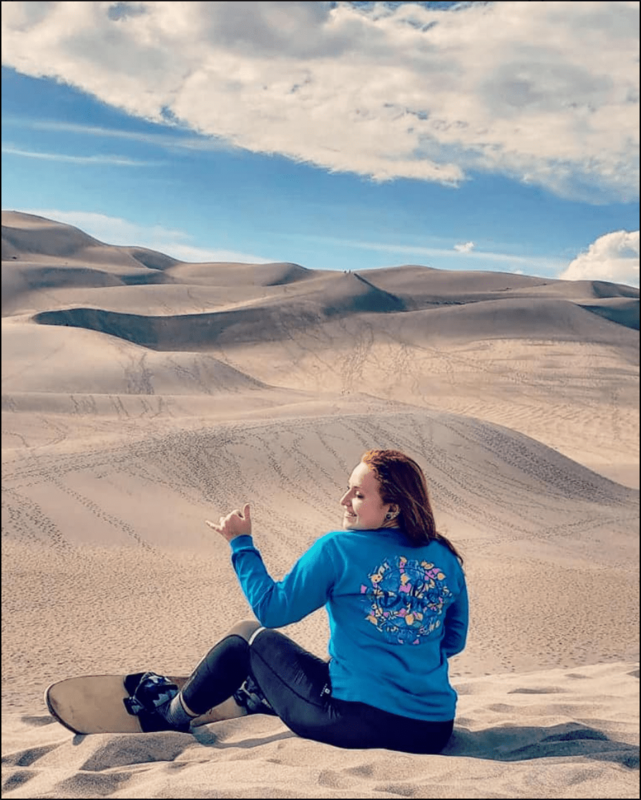 Like tiny ants under a swollen sun I watched people tirelessly climb toward the tallest dune ridges. The mountains in the backdrop shielded us from cloud cover but also from the forest fires raging on the other side. Seemingly barren the landscape is teeming with life, like this little beetle. 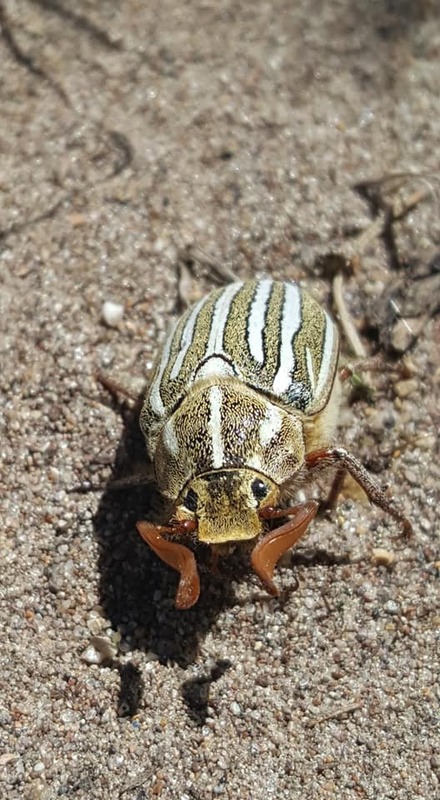 I was fortunate to have some friends visit, equally eager to get outside. 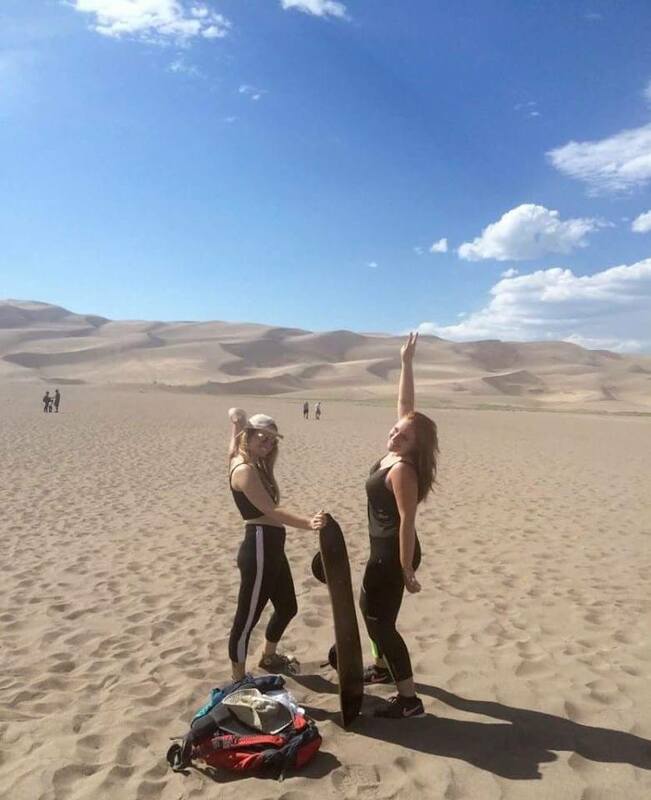 We rented sand boards and made of the sand snow as we glided over desert mounds. Tucked under the canyon lip materialize the Cliff Palace ruins in the pink pale of morning. It is difficult to imagine a thriving community living here nearly 800 years ago — a place that seems so uninviting to life. 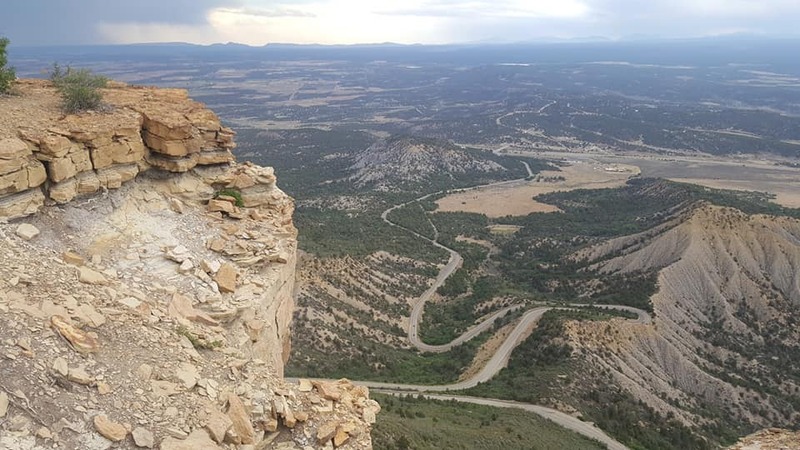 Oral traditions hold that the ancestral Puebloans who called Mesa Verde home emerged from a sipapu, the navel of the Earth, when their third world became spoiled because people became too selfish. Those that were ‘uncorrupted’ climbed the stalk of a plant through a the navel of the Earth and emerged into the fourth world, our world today, destined to go on long migrations. They settled in Chaco Canyon and later migrated to Mesa Verde in the middle of the sixth century. What is now crumbling weathered stone was once plastered and painted decoratively. 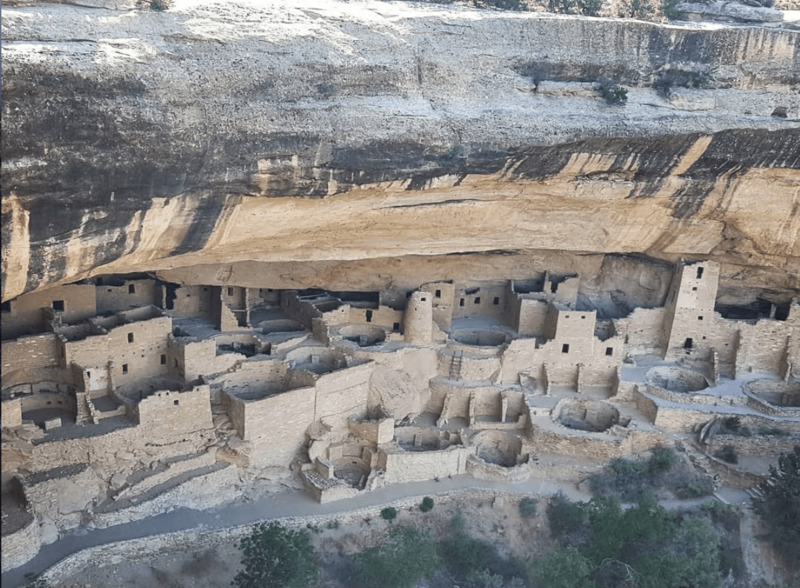 One of the more impressive structures gracing Mesa Verde, this was also one of their later structures, exhibiting the most architectural complexities. The Ancestral Puebloans roamed these canyons for centuries before abandoning this site in 1280 AD. From here they would migrate to Arizona and the Rio Grande, where present-day Pueblo descendants still thrive in their communities. 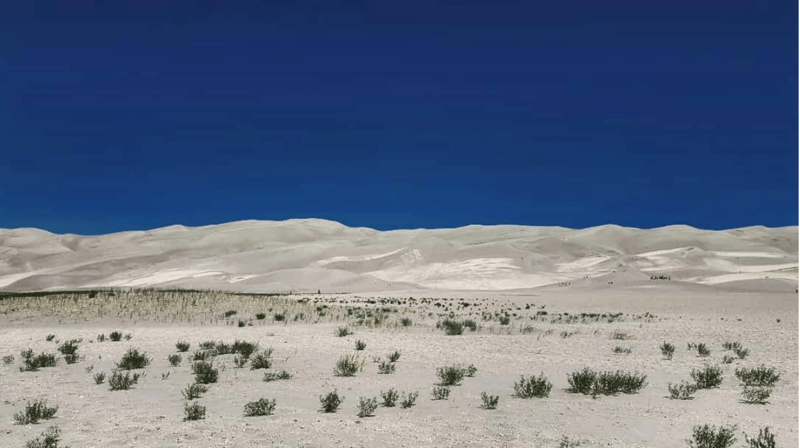 At the time of Spanish colonialism in New Mexico, nearly 100 different Pueblo tribes inhabited the landscape. Today, 19 Pueblo tribes still flourish along the Rio Grande. American Ground Zero: American Ground Zero: The Secret Nuclear War by Carole Gallagher, 1993, p. 87.